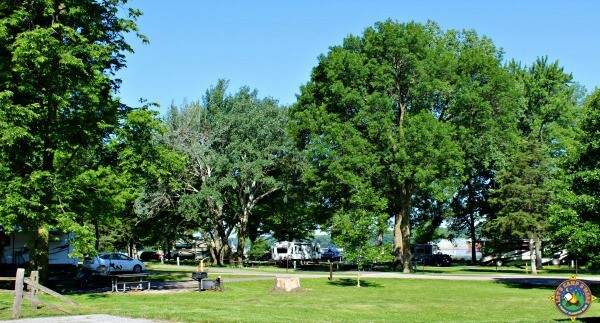 Enjoy camping along the edge of the Mississippi River at Fishermans Corner Campground near the Quad Cities. 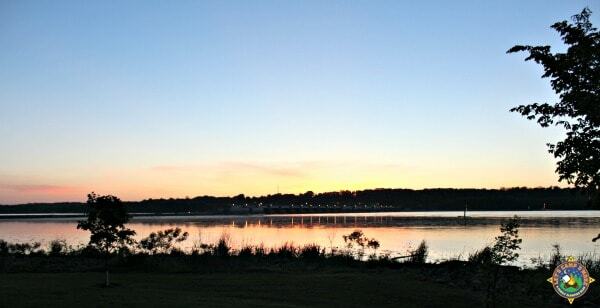 For our first summer trip, we decided to camp along the Mississippi River. We had reservations for Thomson Causeway, but they were canceled due to flood warnings on the river. I asked for suggestions online and someone suggested Fishermans Corner near the Quad Cities. Like Thomson, it was an Army Core of Engineers campground along the edge of the Mississippi adjacent to the Great River Bike Trail. I made reservations right away for a riverside site. If you are looking for a quiet getaway, this is not it. 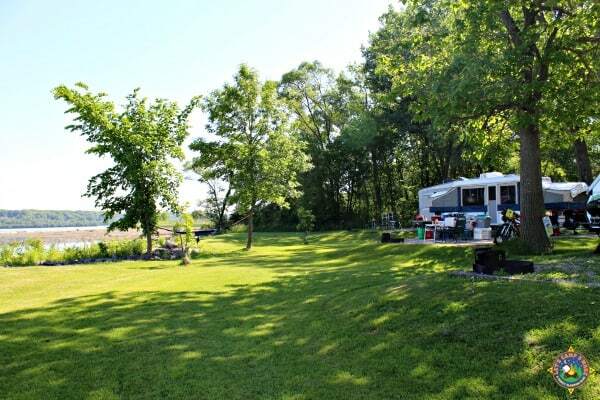 It’s a very well maintained campground in a beautiful location, but there is a lot of noise from the nearby lock & dam, the road, and two rail lines. There are only a few trains a day on this side of the river, but you can hear more running on the far side. 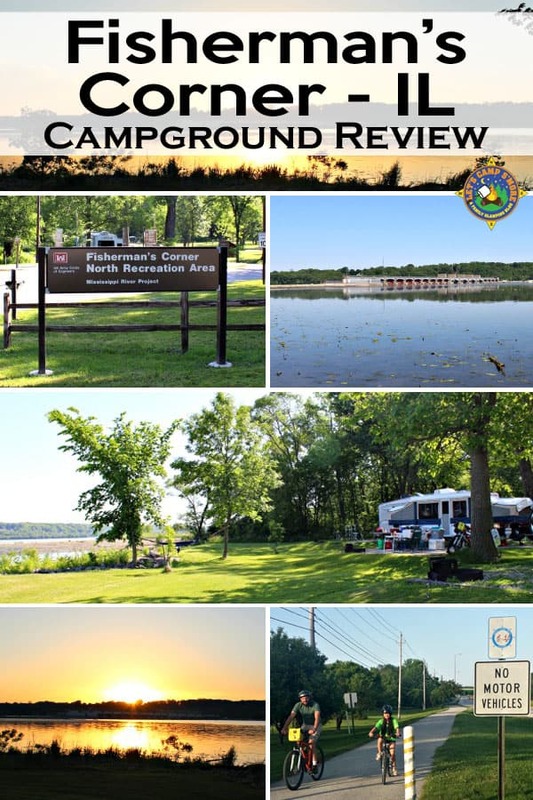 The campground has 56 sites in two loops. There is a dump station, a modern bathhouse, playground, horseshoe pits, an amphitheater, and benches to sit and watch the river. There are great spots to fish right off the levee. The paved sites are level and clean. A few of the spots are close together, but south loop river view sites are staggered so you find yourself looking at the river instead of your neighbors. We recommend sites 8, 9, 11, 12, or 13 for the best river views. The fee booth is open in the afternoon and some mornings, and the volunteer who checked us in was friendly and knowledgeable. We picked up the Along the River booklet, which is the Mississippi River Project’s Guide to Recreation. That provided information on the area, including the Mississippi River Visitor Center at the Rock Island Arsenal, which we visited. We love watching barges go through the locks. 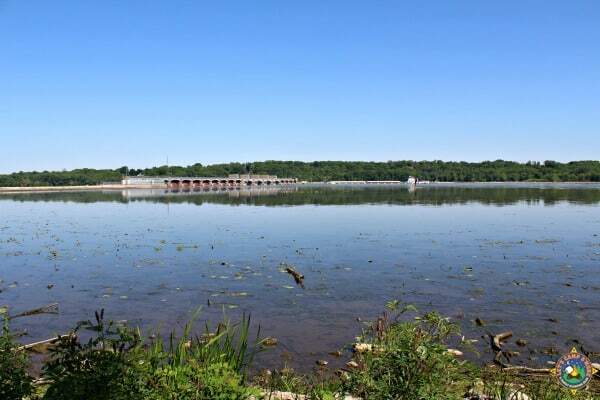 You can drive to the other side of the river and watch the nearby Locks & Dam 14. If you don’t want to explore, just sit at your site and watch the river. Here are some views of the river from site 9. There are all sorts of birds along the river and the sunsets are amazing! We enjoyed biking on the nearby Great River Bike Trail. 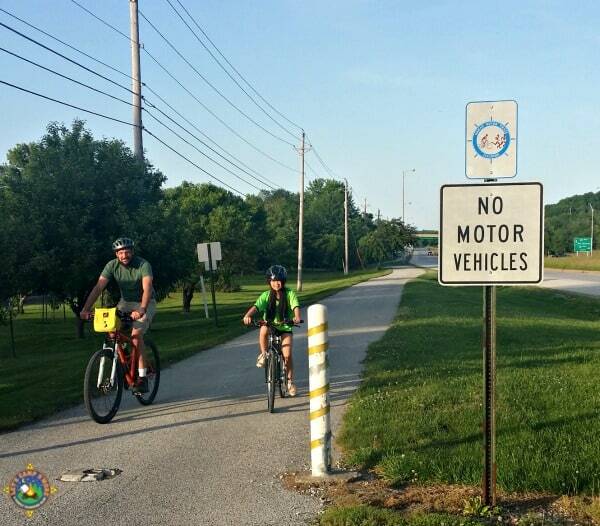 This paved bike path in Illinois runs 65 miles from Rock Island to Savannah. This wide path is wide, fairly flat, and offers many great views of the river. As we rode south on it, we discovered another great public campground on the other side of the dam. 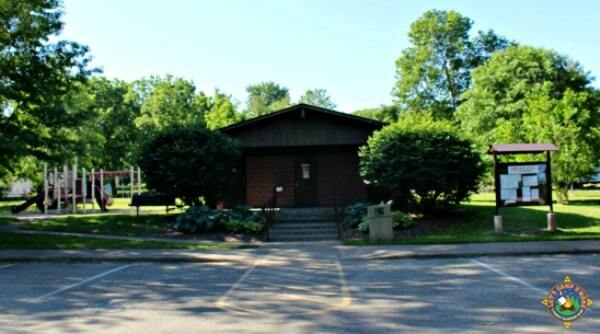 It’s the Illiniwek Campground, which is part of the Rock Island County Forest Preserve. It’s larger than Fishermans Corner and also offers a views of the river. There is less definition between sites and no trees between the campground and road and rail. They have many riverfront tent sites. That campground caters to a younger local crowd. If you find yourself near the Quad Cities, we recommend Fishermans Corner. It’s 2 miles south of I-74 along Hwy 83. 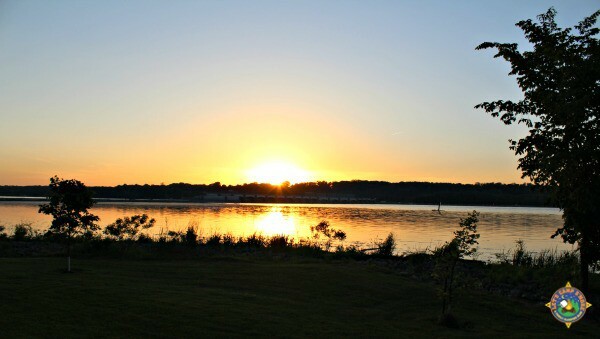 Get more information about the campground here. Nice review Diana. And GREAT pictures! I finally saw that snake looking thing in the river that you all spotted. Still couldn’t tell what it really was. Glad to have been your neighbor then.